Although the olden times were great, when a parent would take their children with them to their first hunt and show them the ropes, times are however changing! New laws and regulations are implemented, and things change pretty fast. It is best to follow a few professional hunting bloggers to be kept up-to-date with all the new things, whether that is simply news about a season in a specific region, or newly authorized hunting methods – its best to stay ahead of the competition and be on the same side. We all like to think of ourselves as master hunters, but once you give one of these blogs a read, you will find out what you have been lacking. Since most of the time we spend buried with our head in our smartphones and other devices, why not taking advantage of that and learn a new thing or two especially how to use a compound crossbow. These people spend a lot of time researching new tips and tricks and keep up with any new gears and strategies that will help them out, and all that knowledge, free of charge. 1. At the top of the list is W2H, or Wired to Hunt. The first thing you will see when you open their site is “Are you a whitetail addict?”, And they had me there, to be honest. This blog is for the newer generation and aims to provide latest deer hunting strategies, stories and news from all over the country. There are how to articles and every Friday the editor is kind enough to provide links to some of the best hunting related blog posts of the past week. 2. Field & Stream’s Whitetail 365 comes in second. Although this blog in specific provides all types of information that are remotely related to deer hunting, the Outdoor Life and Field & Stream in general don’t just focus on deer’s, but almost every other outdoor sporting activity as well. 3. 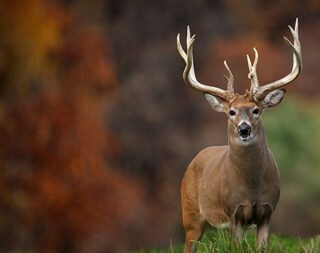 Outdoor Life’s Big Buck Zone is another huge name that is must for any deer hunter. They do get an outside of the hunting season, but each and every post provides valuable information. They might not have quantity, but they sure have a quality no matter how you look at it. 4. The Big Game Hunting Blog provides a lot of information that many find useful; the writer is a serious hunter that has hunted big game all over the world, not just the Unites States. It also focuses quite a bit on deer hunting with a muzzleloader, so if you had meant to find a way to spice up your hunting experience, this is your chance. 5. Deer Hunting Big Bucks are like their name suggest, all about the big bucks. These include taxidermy mounts, antler displays and even trade shows with a mix of everything. These are some of the best-hunting blogs that I have come across so far, and they have helped me a lot in my crossbow obsession by providing some quality compound bow reviews that helped me find my current partner.